Truth be told I’m on a deadline and don’t really have time to pen this post, so please don’t judge it as a bona fide review. That said, after finally seeing the screen adaptation of the book I hadn’t read but, like the movie, was dying to sink my teeth into (alas publishing doesn’t leave much time for leisure reading/movies lol), I couldn’t help but whip off a few of the top reasons you shouldn’t miss this flick, especially on the big screen (an opportunity and escapist pleasure rapidly coming to a close, given that it was released months ago). 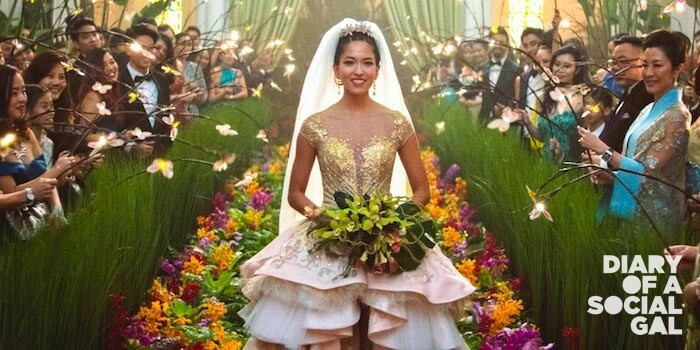 First off, this movie, directed by Jon M. Chu, is visually stunning across the board. 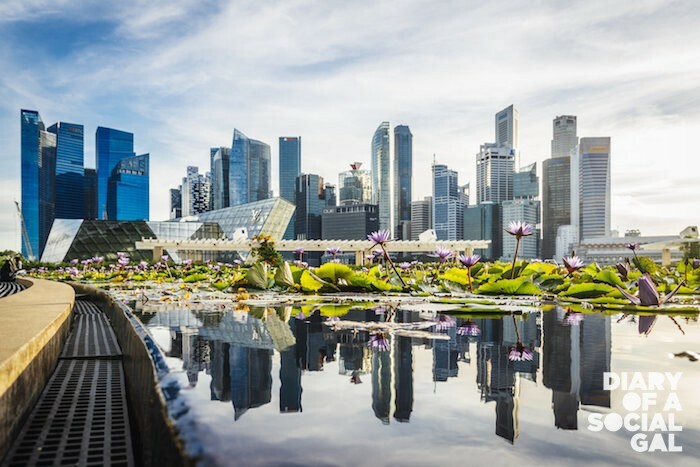 From the majestic luxurious views of the Singapore skyline and architecture, to the sumptuous interiors, mouthwatering cuisine and really good fashion (kudos to the costume team), it’s hard to look away for even a moment, for fear of missing an arresting detail. In an era where we’ve gotten so accustomed to cozying up on the couch and enjoying flicks on screens big for home environments but still teeny compared to the cinematic experience, we’re reminded time and again by each scene, why movie-going and theatres should never go out of style. Second, the script – and acting- are just soooooo gooooddddd! Scriptwriters Peter Chiarelli and Adele Lim bring Kevin Kwan’s best-selling tome to life with so much humour and sass and relatability. 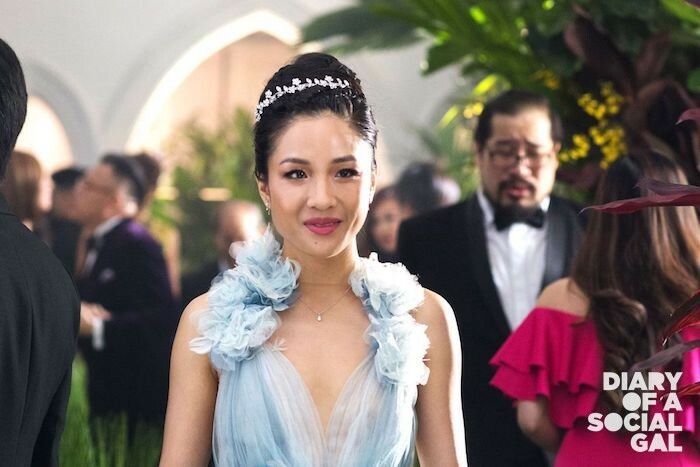 Constance Wu, as protagonist Rachel Chu, is the lovable girl next door who becomes such a badass by movie’s end, you can’t help but be smitten and wish she was your bestie. And then there’s my personal fave, Gemma Chan as Astrid Leong-Teo, Nick’s cousin. Astoundingly beautiful and chic as chic can be (like next level chic), she too shows us all how strong women are in the face of great adversity, choosing to move upward and onward with elegance and grace, rather then embracing victimhood. 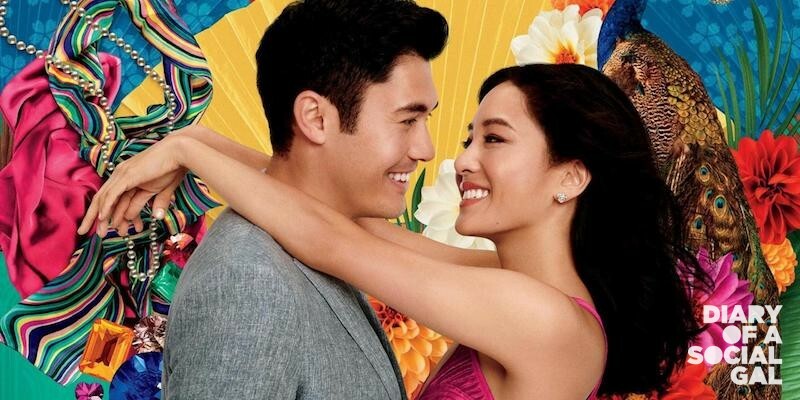 Fourth, in a world where we never see enough of the Asian American experience in pop culture (the last major studio film focusing on the subject matter was The Joy Luck Club, premiering almost a quarter century ago), it’s so wonderful to have the pleasure. In a word, more please!